Angela Carter. Carter, Angela, photograph. © Jerry Bauer. Reproduced by permission. A ‘‘Gently Untidy’’ Childhood. Angela Carter was born Angela Olive Stalker on May 7, 1940, in Eastbourne, England. Her father, Hugh Alexander Stalker, originally came from Scotland. He worked as a journalist and was in his mid-forties when Angela was born. Her mother, Olive Farthing Stalker, originally came from South Yorkshire. Because Eastbourne was located close to the English Channel, and therefore close to the occupying German army stationed along the French coast during World War II, Carter and her mother, brother, and grandmother moved to South Yorkshire to avoid being caught in German air attacks on England. First Publications. In 1960 Angela married Paul Carter. They moved to Bristol where, in 1965, Carter graduated from Bristol University with a degree in English literature. In 1966 she published her first novel, Shadow Dance, followed in 1967 by The Magic Toyshop and in 1968 by Several Perceptions. For The Magic Toyshop Carter received the Llewellen Rhys Memorial Prize, and for Several Perceptions she won the Somerset Maugham Award. In 1968 Carter separated from her husband and then divorced him in 1972. She used the money she received for her books to travel to Japan ‘‘to experience life in a culture that is not Judeo-Christian.’’ She lived and worked there for almost three years, from 1969 to 1972. Finding a Niche. In 1975 Carter began to write for New Society. Between 1976 and 1978 she worked as a fellow in creative writing at Sheffield University. In 1979 she published her second collection of short stories, The Bloody Chamber, and Other Stories, which won the Cheltenham Festival of Literature Award. The stories ‘‘The Werewolf” and ‘‘The Company of Wolves’’ are variations of Charles Perrault’s fairy tale ‘‘Little Red Riding Hood’’. This twist earned her the reputation of being her era’s Mother Goose, albeit a much darker version. Carter continued to exploit traditional tales, exposing not only the tales’ inherent violence and chauvinism, but also revealing the nature of storytelling. In 1977 Carter settled down with new husband Mark Pearce in Clapham, South London. Between 1980 and 1981 Carter worked as a visiting professor in the Writing Program at Brown University in the United States. In November 1983, when she was forty-three, she gave birth to her son, Alexander Pearce. Despite the birth of her child, between 1984 and 1988 Carter led a nomadic life. For three years, she taught part-time at England’s University of East Anglia. In 1984 she was also a writer in residence at the University of Adelaide, South Australia. Last Years. Carter’s last novel, Wise Children, published in 1991, was her acknowledged favorite. In 1991 Carter was diagnosed with lung cancer. She died at her home on February 16, 1992. In 1993 her fourth collection of short stories, American Ghosts and Old World Wonders, was published, and in 1995 her last one, Burning Your Boats, appeared in print. Before her death, Carter provided extensive directions on how to deal with her literary estate. 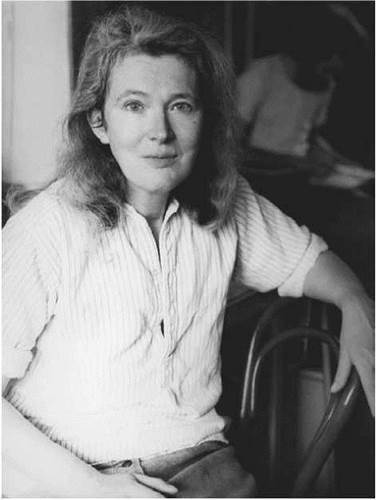 Her main concerns were related to her husband and her son—she desired for her works to provide an income for them, stating that ‘‘any one of her fifteen books could be set to music or acted on ice.’’ Angela Carter’s experiments with narrative form and her use of fairy-tale and real-life characters may have been the reason, as Salman Rushdie writes in his introduction to Burning Your Boats, that she was ‘‘dismissed by many in her lifetime as a marginal, cultish figure, an exotic hothouse flower.’’ Since her death, however, Carter has become, at British universities, one of the most studied of late-twentieth-century writers. Margaret Thatcher (1925—): Prime minister of the United Kingdom from 1979 to 1990 and leader of the Conservative Party from 1975 to 1990. Queen Elizabeth II (1926—): Reigning queen of the United Kingdom, and a romantic and legendary figurehead. Margaret Atwood (1939—): Canadian writer who emphasizes women's roles and also uses fairy tales and legends in her works. Salman Rushdie (1947—): Controversial British-Indian writer who uses magic realism, particularly in his renowned Midnight's Children. Stories within Stories. One of Carter’s most lauded literary techniques is the doubling of narrative frames. Her celebrated tale ‘‘The Loves of Lady Purple,’’ for example, is a story within a story. The frame of the story is a puppet show, given in different cities and countries by ‘‘the Asiatic professor.’’ But the story itself is about a perverse, cruel vampire who, as a punishment for her perversities, forfeits her vitality and is transformed into a puppet, used for presentations by the Asiatic professor, who worships her as a puppet because she is an embodiment of his art. Perhaps the most interesting part of the story is the transition between the frame story and the story itself, when the frame story becomes part of the unreal illusory theatrical story. The puppet, the object of art, through love, power, and faith of the artist in his own art, returns to life to become once again what she had been, whereas the frame, the show, and the Asiatic professor cease to exist, overcome by the power of his creation, which in this case is a destructive evil. This theme has recurred in art and literature since the Renaissance. The relationships between the artist, art, and art’s destructive power have fascinated artists, poets, and writers through the centuries. In this story Carter finds her own original way to introduce this theme. The Beauty and the Beast. Carter also established her creative genius by reinterpreting fairy tales to reflect the concerns of her own time and gender. The Courtship of Mr. Lyon, for example, is based on the fairy tale ‘‘The Beauty and the Beast.’’ As in the original story, ‘‘the Beauty’’ saves ‘‘the Beast.’’ In another story, ‘‘The Tiger’s Bride,’’ the Beauty becomes an animal in order to reunite with the Beast, the Tiger. The Beauty, when confronted with the choice of returning to a human state and to her father—who sent her to the Beast as payment for his gambling losses—chooses to stay with the animal, who is more noble and generous than the unworthy human. Alternatively, in the story ‘‘The Lady of the House of Love,’’ the Beast is a young, beautiful girl who is also a vampire, and in this story, the Beauty is a young man with whom the young girl falls in love and through whose love she is saved from the unhappiness related to her nature, because of which she is forced to kill in order to survive, something that she hates to do. Angela Carter played with traditional fairy tales, sometimes making them more violent or more beautiful than they initially were. Sometimes she merely elaborated on a common theme, and other times she used the original story to reveal something about our modern era. Here are some other works that use old tales to reveal new truths. Bluebeard's Egg (1983), a collection by Margaret Atwood. In this collection, Atwood's heroines are faced with duplicitous men modeled after the traditional scoundrel, Bluebeard. Bluebeard (1987), a novel by Kurt Vonnegut. In this fictionalized autobiography of a painter, the narrator's secrets are kept in a potato barn. Stranger Things Happen (2001), stories by Kelly Link. In this collection of short stories, classical villains and heroes make an appearance in modern-day America. Pan's Labyrinth (2006), a film by Guillermo del Toro. In this movie, a young girl uses traditional fantasy elements— including dark woods and talking animals—to help her escape the harsh realities of the Spanish Civil War. Overall Reception. During Carter’s life and after her death in 1992, literary critics tried to decide on the literary trend to which her works belong. Some perceive her as a writer of the gothic; others associate her with magic realism. Her short stories, however, are distinctly postmodern. As the critical responses to Carter’s work multiply and the debate over its meaning and significance grows, however, it has become clear that her writing is more ambivalent, its implications darker, than a label such as ‘‘postmodern’’ suggests. The Infernal Desire Machines of Doctor Hoffman. In her 1972 novel—the product, like some of the Fireworks stories, of two years she spent in Japan—imaginary animals step out of paintings and reflections escape from mirrors to invade the realm of the real. Such fantastic plot elements made her early work difficult to characterize. While writers as diverse as Anthony Burgess and John Hawkes expressed great admiration for her writing, other reviewers were unimpressed. The Infernal Desire Machines of Doctor Hoffman was ignored or treated with incomprehension and contempt by most mainstream critics. For many readers, the presence of the fantastic was unacceptable when it demanded direct and sustained attention. The reception of Carter’s writing had changed along with the writing itself between the 1960s, when despite being seen as strange she won two major British literary prizes, and the 1970s, when she returned from Japan more radically self-conscious and aggressive in her re-creation of her heritage. Wise Children and Posthumous Success. English theater culture is the territory of her last novel, Wise Children. It traces the history of the fictional Hazard theatrical dynasty. The Hazards are mirrored and mocked by the illegitimate, female branch of the family, represented by elderly twins Dora and Nora Chance, who had their own vaudeville careers and live in indecorous retirement on the wrong side of the Thames. Salman Rushdie, in an obituary for the author in the New York Times, states, ‘‘Angela’s last novel, Wise Children, was also her finest.’’ In her review for the Nation, Ann Saltow notes that the book ‘‘offers aesthetic pleasure like a gift to the reader... . Like Shakespeare, Carter is a crowd-pleaser.’’ Carter’s death from cancer, coming soon after its publication, hastened its acceptance as one of the canonical texts of the postmodern feminist sensibility. 1. Look up the terms and decide for yourself whether you think Carter’s writing is gothic, magic realist, or postmodern. 2. Carter and the Canadian author Margaret Atwood have often been compared with each other. Can you find similarities, perhaps in Atwood’s novel Surfacing, and Carter’s story ‘‘The Company of Wolves’’? 3. Why do you think critics were apprehensive about Carter’s stories? Why do you think she won so many awards despite this criticism? 4. How does Carter portray animals in ‘‘The Company of Wolves’’? What might the wolves represent? 5. Why does Carter choose to manipulate fairy tales? Is she hoping to educate us about something? What? Be sure to identify which elements of fairy tales Carter adopts and which she rejects. ‘‘Angela Carter (May 7, 1940-February 16, 1992).’’ In Contemporary Literary Criticism. Edited by James P. Draper, Christopher Giroux, and Marie Lazzari. Vol. 76. Detroit: Gale Research, 1993. Bacchilega, Cristina. Postmodern Fairy Tales, Gender, and Narrative Strategies. Philadelphia: University of Pennsylvania Press, 1997. Bristow, Joseph, and Trev Broughton, eds. The Infernal Desires of Angela Carter: Fiction, Femininity, Feminism. Essex, U.K.: Addison Wesley Longman, 1997. Day, Aidan. The Rational Glass. Manchester & New York: Manchester University Press, 1998. Gamble, Sarah. Angela Carter: Writing from the Front Line. Edinburgh: Edinburgh University Press, 1997. Lee, Alison. Angela Carter. Twayne’s English Authors Series, no. 540. New York: Twayne, 1997. Palmer, Paulina. ‘‘From ‘Coded Mannequin’ to Bird Woman: Angela Carter’s Magic Flight.’’ In Women Reading Women’s Writing. Edited by Sue Roe. Brighton, U.K.: Harvester, 1987. Peach, Linden. Angela Carter. Basingstoke, U.K.: Macmillan, 1998. Sage, Lorna. Angela Carter. Plymouth, U.K.: Northcote House/British Council, 1994. Tucker, Lindsey, ed. Critical Essays on Angela Carter. New York: G. K. Hall, 1998. Fernihough, Anne. ‘‘‘Is She Fact or Fiction?’: Angela Carter and the Enigma of Woman.’’ Textual Practice 11, no. 10 (1997): 89-107. Sage, Lorna. ‘‘The Savage Sideshow,’’ New Review 4 (July 1977): 51-57.